Teach me, oh great one. 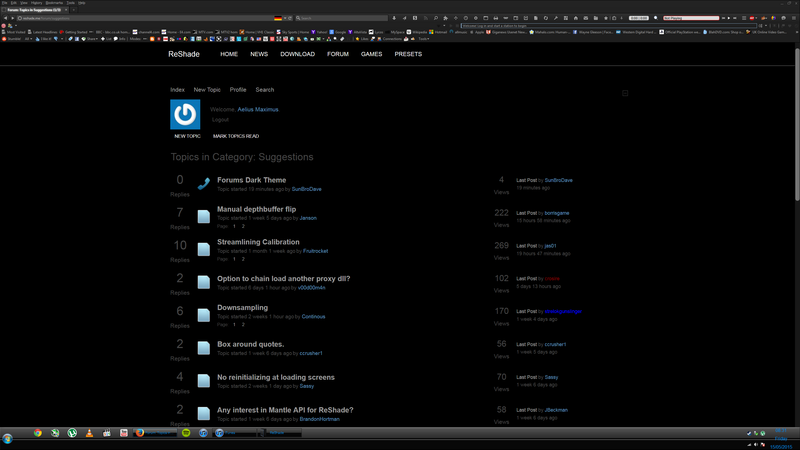 I threw together a darkened stylesheet that works with Stylish or something similarly Stylish-compatible. Whether or not this is something that can be changed server-side is another thing, but it looks alright. It shouldn't be too hard to change the colours yourself, either! I've tried to iron out glitches, but I doubt I've caught everything. Some white things will use white text and some dark things will use black text. It's a little Firefox add-on called Color that Site! Last Edit: 3 years 11 months ago by Aelius Maximus.